Foreign nationals shifting to China would know that Chinese government has strict bans and policies when it comes to internet censorship. World’s most used video sharing site www.youtube.com has also suffered at the hand of these policies and is banned in China. Many people who have moved to China and a vast majority of Chinese youth itself are very annoyed by these bans. 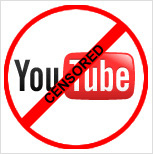 There are several ways that are used by geeks to unblock YouTube in China. The most common method is by the use of proxies. However using proxies is a pretty unreliable solution because every other day the proxy will get banned and you will have to search for a new solution. This wastes time and effort and often makes users feel very irritated. The other and very reliable method that can be used to unblock YouTube in China is by using Virtual Private Network (VPN). VPN is a good service as compared to other services as it is a lot faster than usual proxies and usually never faces any ban. What is the Story behind VPN? The mechanism behind VPN is pretty simple. Let’s say you have an IP address in China 117.456.34.56. Whenever you try to use YouTube, this IP address is recognized as that being of China and access is denied. VPN service lets you have an IP address of another country, lets say France. Now when you access the site from China, it will think you are in France and you will be allowed access. Simple! 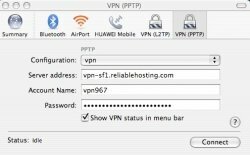 Which VPN Provider to Use in China? There are several VPN providers in market each of whom claims his service to be better than the others. What you should consider before choosing a VPN service provider is the price, speed, reliability and customer service. However as a general rule, higher cost means better speed and more reliability.